I love, love, love these curtains by Lush Decor. They're the perfect length and width for my dining room windows, too. But alas, they are fancy enough that they are "dry clean only" so that doesn't work in my multiple dog-and-cat household. Sigh. 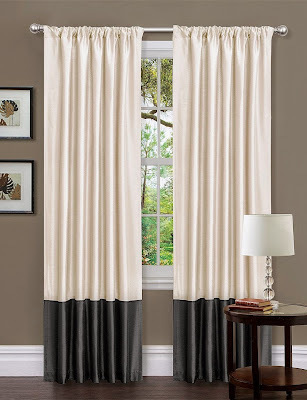 These white and black curtains might work in a Burtonesque styled home as long as there weren't clashing stripes nearby. 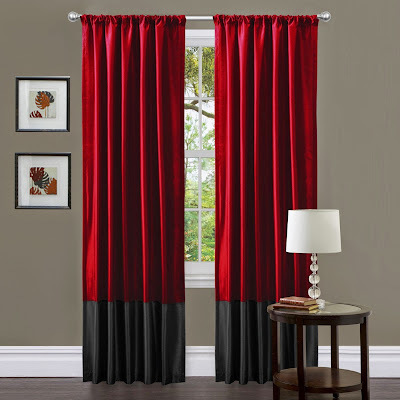 The red-and-black set would be perfect for a vampiric home decor style.